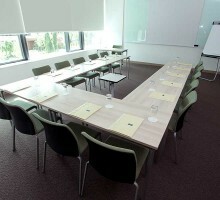 Vjedi hall is located on the southern side of the congress center, it is square-shaped, with a size of 44m2. 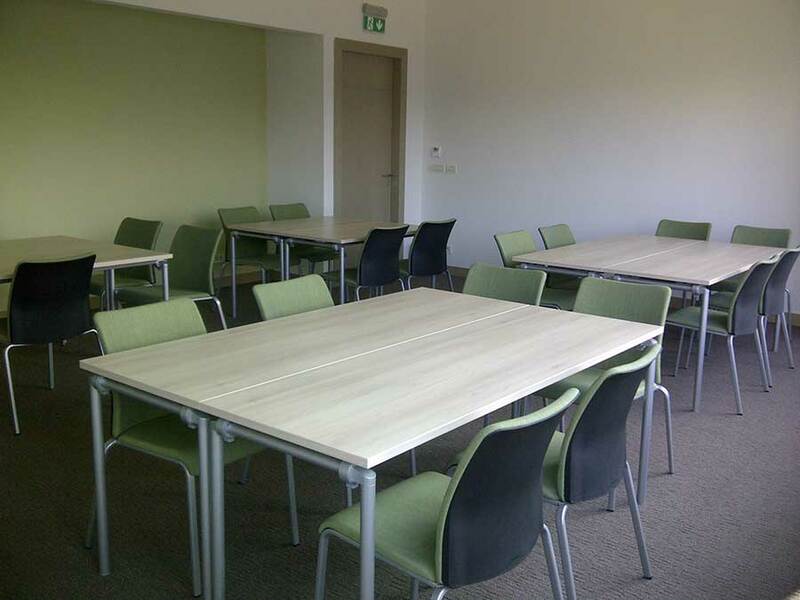 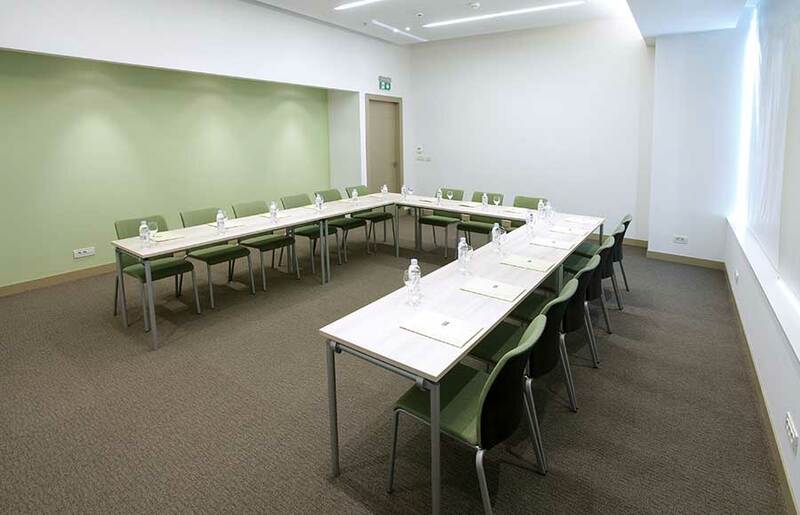 Same as in the Buky room, there are large windows on the southern part and you can choose whether you want to have a meeting with daylight and a nice view or a lecture with the projector in a dark room. 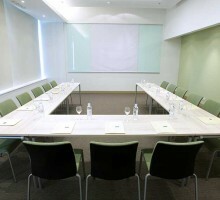 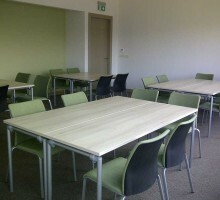 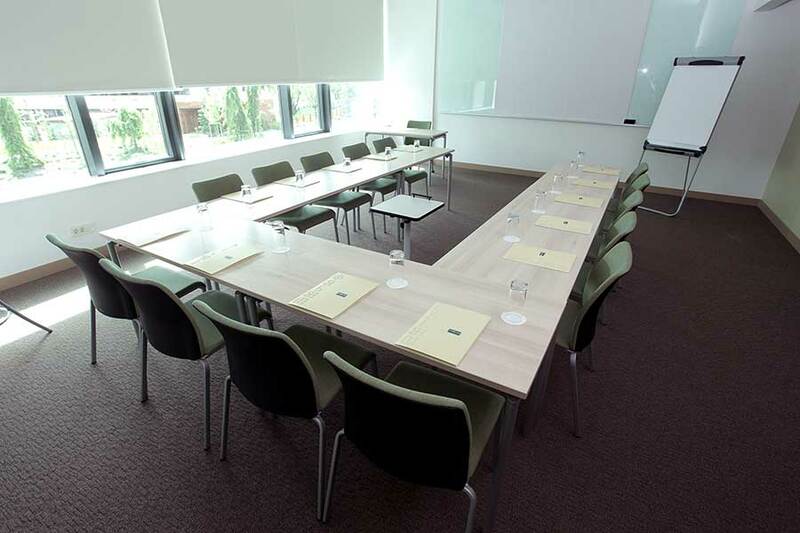 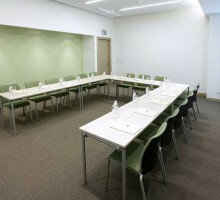 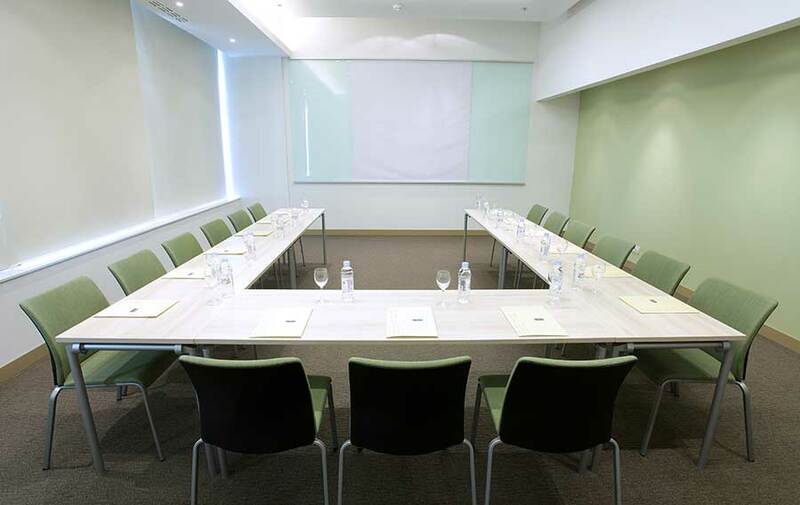 Depending on the requirements of the event, it can accommodate from 18 people in U shape, up to 36 people in auditorium setting.